Tips On Buying Her a Brilliant Diamond for the New Year! Many people focus on setting goals, bettering themselves, and starting fresh in honor of the New Year. What can you do to start the year off on the right foot? Buy a brilliant diamond, of course! What better way to ring in the New Year with a positive attitude than wearing a sparkly, brilliant diamond on your neck, wrist or finger? After a long holiday season of shopping for gifts, your budget might be a little limited when it comes to splurging on a brilliant diamond. Don’t worry! Many online retailers offer their best deals in January, after the hustle and bustle of the crazy holiday shopping season has died down. Shopping for your gem from retailers who sell wholesale loose diamonds can also help cut costs. When looking for the perfect piece of jewelry, be sure to stick to your budget. Unless you’re a diamond expert, understanding cut, color, carat and clarity can be a little confusing. Don’t be afraid to ask for help. Online retailers like Brilliance.com have a live chat feature, where you can speak to a diamond and jewelry expert at the push of a button. These experts will be able to answer all of your questions and help you check everything off of your brilliant diamond wish list. 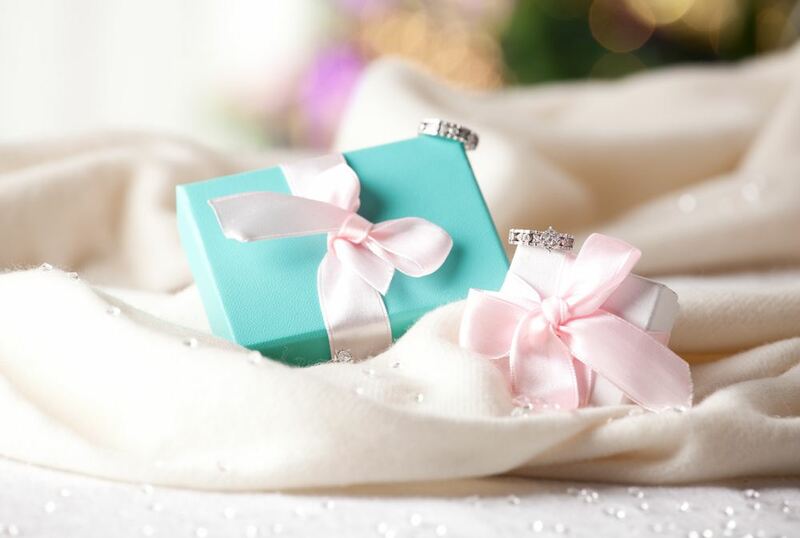 Are you buying a gift for a loved one? The best way to make sure you pick the perfect brilliant diamond is to do a little digging through her jewelry box. See what styles she tends to wear most, and what diamond shapes she prefers. Does she already have a pair of diamond studs? Maybe you should go for a necklace or bracelet instead. Does she love a round cut diamond? Make sure you choose the round cut diamond with the ideal table and depth for her style. This will help you avoid the guessing game of trying to match your loved one’s style to the many options available for diamond jewelry. Many diamond experts predict diamonds will be placed in simpler, delicate settings during 2016. Think smaller halos for engagement rings, or solitaire diamond pendants for necklaces. If you want to follow the trend but still show a little flash, opt for a bigger solitaire diamond surrounded by a smaller setting to really make the brilliant diamond pop! This year, expect the pear shaped brilliant diamond to make a huge comeback! This unusual cut is unique and eclectic, perfect for ladies who truly want to make a statement with their diamond jewelry. The teardrop shape of the pear diamond makes it perfect for beautiful engagement rings, earrings or pendant necklaces. The pear shape is also perfect for larger accent diamonds or for cocktail rings. 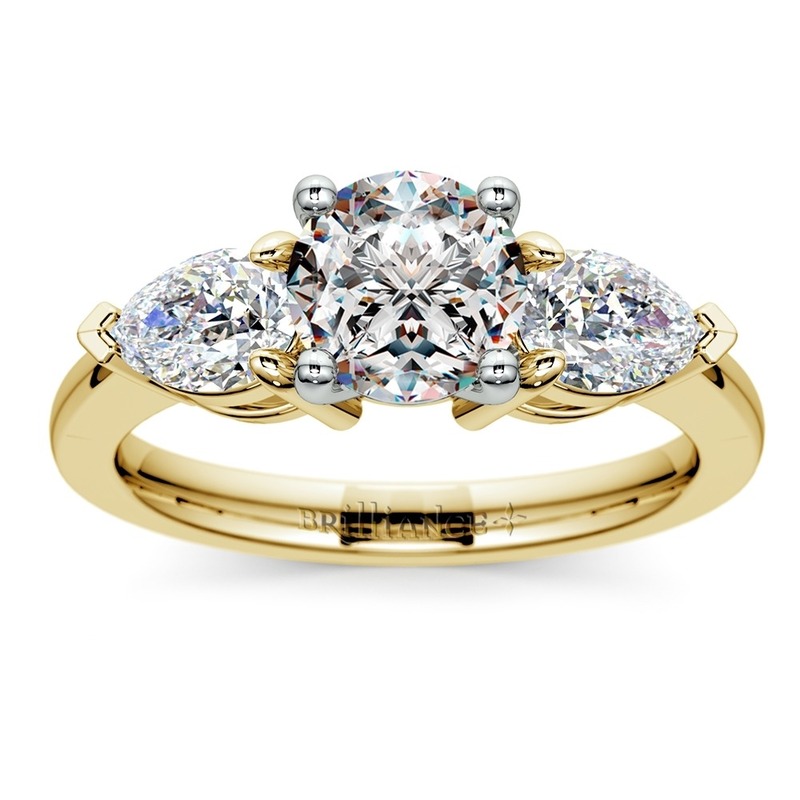 Style experts predict that yellow gold will be the popular choice to pair with diamonds this year. Choosing yellow gold adds a vintage feel to the piece while still allowing the brilliant diamond jewelry to remain timeless. Without a doubt, buying a brilliant diamond around New Year’s is a great way to kick off a year filled with love, joy and, of course, sparkle!